German and EU cash will be used to finance the first solar power station in Ivory Coast, Germany's embassy in Abidjan said Wednesday, as the West African country attempts to boost its use of renewable energy. The plant in the northern city of Boundiali will receive 27 million euros ($31 million) in funding from the KfW public investment bank and 9.7 million euros from the European Union, the embassy said in a statement. Ivory Coast is west Africa's leader in electricity production—75 percent of which comes from thermal energy and the remainder from hydroelectric dams. But authorities want renewables to make up an 11-percent share of national consumption by 2020. 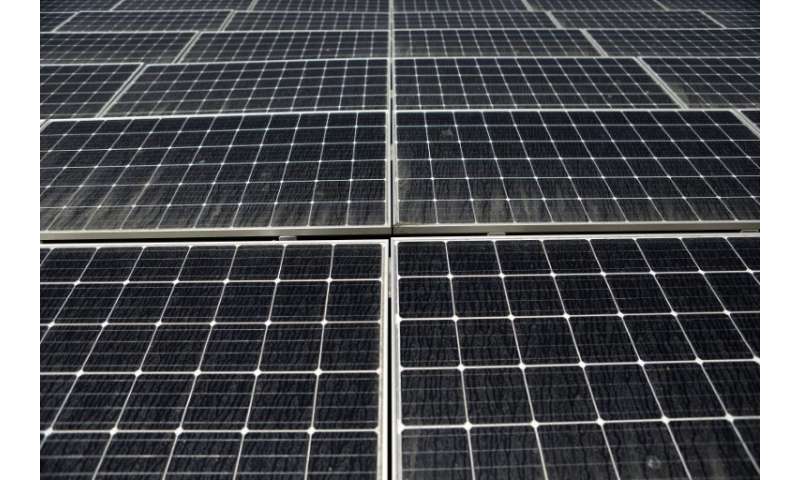 That target might be ambitious, as the country has so far burned through barely one single megawatt of solar energy in 2018, according to the Ivorian Association of Renewable Energies. The proposed solar power station would have a power of 37.5 MWp (megawatt-peak, the maximum electrical power). The announcement comes weeks before Ivorian President Alassane Ouattara visits Germany on October 30 for the G20 Investment Summit.